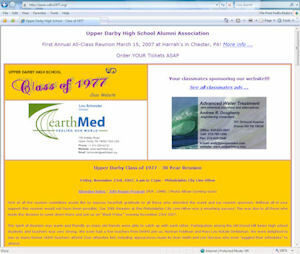 NOTICE --- Ads that have been on our website since the last reunion in April 2013 will be removed on January 1st, 2018, unless renewed. You risk being out of touch ,,, are YOU in our class database? Facebook, Twitter, Classmates, etc. 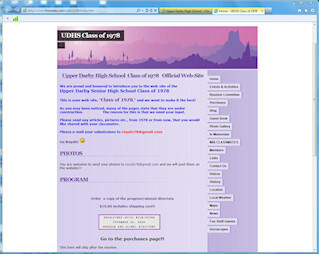 all help us stay together but are not a substitute for our Class Website and Class Database. If you are not receiving notices by direct e-mail from our Class Committee, you risk being out of touch ,,, are YOU in our class database? 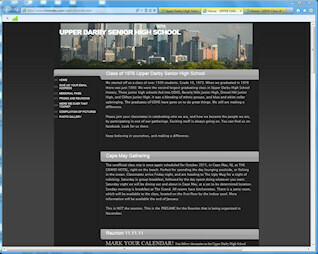 To be sure, and especially if you are listed on our Class MIA List, click here to send your information to the Class Committee. Right click the link above as "Save target as" to your computer. Scroll down for other reunion programs. First of all the reunion committee would like to express heartfelt gratitude to all those who attended the event and our reunion sponsors. Without all of your support this reunion would not have been possible. Our 30th Reunion at the Philadelphia City Line Hilton was a smashing success! This was due to all those who made the decision to come down there and join us on “Black Friday” evening November 23rd 2007. The Spirit of Reunion was warm and friendly as many old friends were able to catch up with each other. Participation among the old Drexel Hill Junior High school students and teachers was very strong. We even had a few teachers from DHJHS join us, Norman Feldman and Mary Lou Natale Dinkleman. We were delighted to see so many former UDHS teachers attend (See attendee list) including appearances made by Jean Smith and Lee Stevens who even “juggled their schedules” to attend. 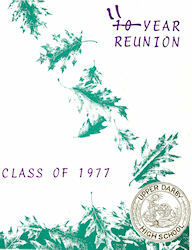 A few classmates made elaborate travel plans to attend the reunion, and here are a few: Sue Black -VA, Lynn Thrash Maloney - FL, Kathy Miles Rogers - CA, James Houston CA , Paul Schueren CA, Majorie Fisher Huey – TX, Emmanuel Socolovsky - ISRAEL to name a few. We’re extremely happy they all made such an effort! The reunion kicked off with brief opening remarks by Andy Dougherty and a wonderful invocation of blessing upon the event and the time by Pastor Philip Underwood of Cornerstone Christian Church (who is also one of our sponsors - so thanks for that Phil!) Phil is a native New Zealander and many of our classmates were interested to find this out as they pressed him for info regarding his “Kiwi” accent. Not enough could be said about the quality of the buffet menu at the City Line Hilton! The fillet mignon with the béarnaise was simply TDF (To Die For). The chicken and fish were excellent, and the fruits, vegetables, and salads put out by the Hilton made it a diverse spread with something for every palate. An interesting moment came when two classmates got up and made an announcement. Andy Dougherty mentioned some trouble he had gotten into right after the 25th reunion, but also pointed out that He was a trophy of God’s grace. Fran Ianetta then spoke of how the two men enjoyed a special kinship which went back to their days at Drexel Hill Elementary. The two men celebrated the fact that they are now “alive and well” by sharing a dance to Frank Sinatra’s “Summerwind,” a classic and a favorite of them both. Along the lines of elementary school kinships, it was apparent by sheer number of attendees that the old Aronomink elementary school bunch was all still “very tight” and genuinely glad to see each other. Larry Oranzi, George Marinelli, Emmanuel Socolovsky, Kevin McClung, Paul Schueren, Mark Damiri, and Rick Christy Stone were reunited along with Elizabeth Coulter. There were two notable contingents of fine ladies who graced our reunion as well. The first were the “Westbrook Park Girls.” They obviously have been very tight for a long time and it showed as they were reunited. These included: Marlyn Koran Andreozzi, Janet Carpenter Cavalier, Andra Nicholas, Kim Forbes, and Phyllis Bonnett Tegethoff. We were also glad to welcome the “Greek Sisters” connection of: Athena Tzioutziouklaris Efthimiou, Fani Hatzis Zarvalas, and Maria Giannakoudis Trzcinski. The event wound up with a dance contest and fierce competition for the coveted UD 30th reunion polo shirts. Some winners of the shirt dance contest rounds were Marie Welsh Rimgaila, and Mary Lou Natale Dinkleman. Donna Wilson Bryson was also named the “unofficial winner” of the dance contest. The event wrapped up by midnight with many guests retiring to either the sports bar or their hotel rooms. 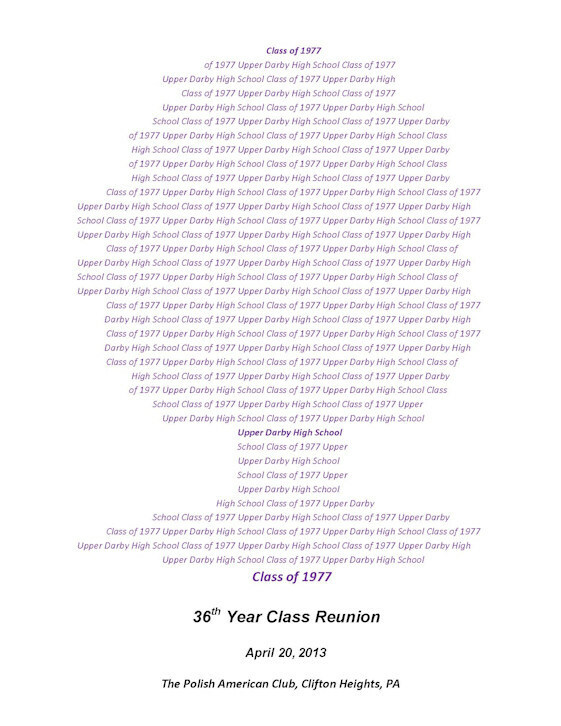 The Upper Darby High School Class of 1977 Reunion Committee at the 25th Reunion. Top row: Lou Schonder, George Marinelli, Carol (D'Allesandro) Zipperlen, Jeff Kwait,Andy Dougherty, Mark Branson. Seated: Terry (Baudry) Quedenfeld, Terry (Hogan) Santalucci, Sue (Crowers) Keenan. The Class of 1977 from Upper Darby High School celebrated its 25th year reunion on November 29, 2002 at the Radisson Valley Forge Hotel in King of Prussia, PA. Mr. and Mrs. Fred Funk, Mr. Ed Medzarantz, and Mr. Glen Yacono (former teachers) were among the alumni and guests. Teacher Dr. Pam (Blinder) Doray was seen circulating among her former students during the cocktail hour from 7-8 p.m. which included a cash bar and hors d’oeuvres. Among the many attendees, some who had come from as far away as San Francisco, there was one who came across the globe to celebrate. Emmanuel Socolovsky returned to his home in the United States from Israel where he has lived for the past 23 years. This was the first time in that many years that he had seen many of his peers and a special gift was presented to him. Andy Dougherty delivered the Invocation and a buffet dinner was served. Musical entertainment was provided by Sound Production, door prizes donated by the classmates themselves were given away, and a photographer from Helen Hayes was on hand for those who wanted the evening commemorated in pictures. The evening ended around midnight with many guests continuing to celebrate in several of the hotel’s suites. Comments, suggestions and pictures are always welcome. Right click a download link above and "Save target as" to your computer. 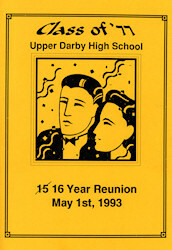 The 16 Year Reunion Program is not yet available. 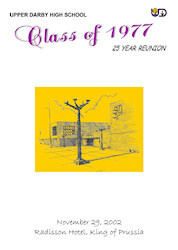 Do you have a copy of the 5 Year Reunion Program? Please let us know. 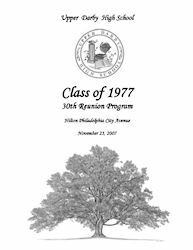 Our class continuing to support the Richard Hadfield Memorial Scholarship Fund ..
Rich Hadfield, class president of the Class of 1977 at Upper Darby High School , suffered a fatal injury as a result of an accident involving a motor vehicle in the summer of 1980. At the time, Rich was working as an assistant to the Public Defenders Office in Washington D.C. 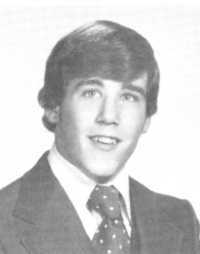 He was taking pre-law classes at Villanova University and would have graduated in the spring of 1981. There is no doubt in anyone's mind that Rich was well on his way to success and would have risen to the top of any field, including the law field, which he may have chosen. As a result of the tragedy which ended Rich's life here on earth, his parents were faced with one of the hardest decisions any parent could ever make. After three agonizing days in the hospital, Rich was still comatose and brain dead and the Hadfields made the decision to allow doctors to remove Rich's organs before turning off life support. It is only fitting that, even in death, Rich literally gave all he had to help some others live their lives to the fullest. Shortly after Rich's passing, the Richard Hadfield Memorial Scholarship Fund was established. 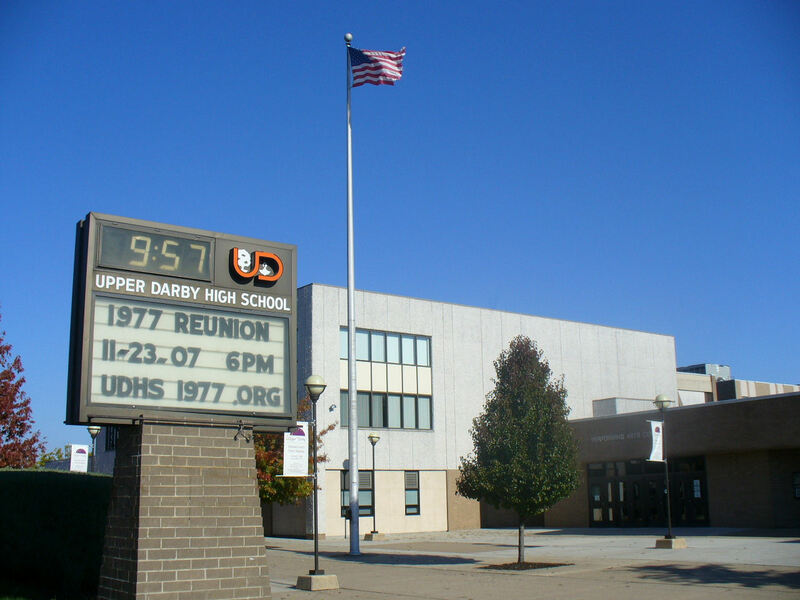 Every year since 1981, an Upper Darby High School student active in athletics, sports, and in their class was given a gift of $600 towards their costs associated with pursuing a college degree. It is only appropriate now that our class helps in taking up the torch passed by Rich, and also in honor of all our classmates who have gone on before us, and speak into other students lives both encouragement and blessing through a gift to the Richard Hadfield Memorial Scholarship Fund. Our class has been instrumental in supporting this scholarship to help keep Rich's memory alive. 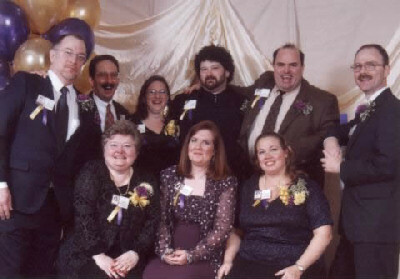 In 2002, during our 25th Reunion, we gave over $2600 to the Hadfields.